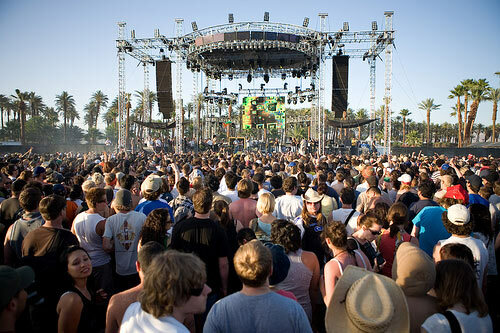 Attending outdoor music festivals for your anchor activity on your road trip is always a great idea. Because of the large number performers at these events, the price for these cheap concert tickets is the lowest you will ever be able to purchase. Get ready to rock out! 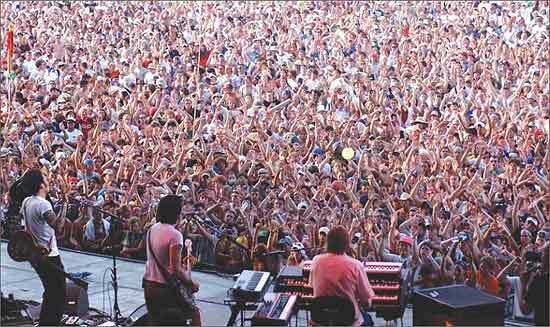 This link will take you to a complete listing of all of the outdoor music festivals in the country. You will find what your looking for weather it's a rock music, bluegrass, country, folk, or even a county fair! Generally these are the types of items you are allowed to bring with you to these outdoor music festivals. Make sure you check the website of your selected show before bringing these items with you. Security can be tough and will give you a choice of putting the items in your car (or hotel room) or you can dispose of them at the gate. Stay Hydrated! Make sure you drink plenty of liquid before and during the show. If you choose to drink lots of beer then make sure you also drink lots of water. Regularly apply sunscreen on your exposed skin. Do not get sunburn! Periodically seek out shaded areas so that you can take breaks from the heat throughout the day. Once again...drink tons of water! Since you've already decided to attend a music festival, now you need to figure out how you are going to get to the venue. Keep in mind that traffic is almost always a nightmare leaving these shows. Your best bet is to take public transportation to and from the show (subways or trains are best in large cities). Sometimes your hotel will offer a shuttle bus and can save you lots of money! It is always wise to purchase your tickets in advance for any anchor activity you choose for your road trip. Many of these festivals are extremely popular and sell out. The last thing you would want is to be locked out of the gate or even worse-have to buy a ticket from a scalper.